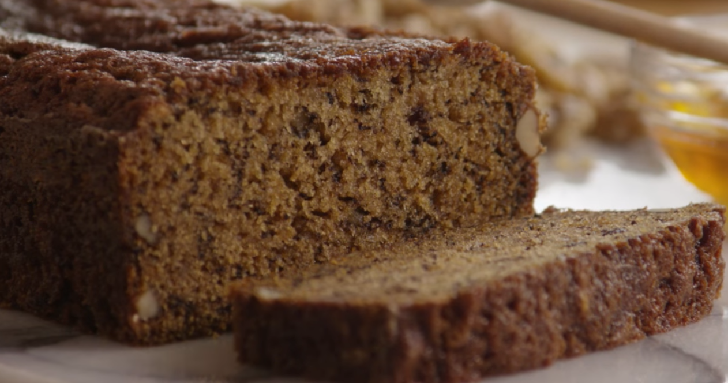 Banana Nut Bread could possibly be our favorite not-so-guilty pleasure. It’s healthy, it could pass for a snack, a breakfast food, or even a dessert and it’s absolutely delicious and easy to make. ➧ Preheat Oven to 180°C. ➧ In a large bowl combine eggs, honey, vanilla extract, and the cooled coconut oil and mix well. ➧ In a small bowl combine coconut flour, salt, baking soda and stir well. ➧ Add dry ingredients to wet ingredients (except bananas) and stir until there are no lumps. ➧ Fold in bananas until well blended. ➧ Pour batter into a loaf tin. ➧ Bake for 40-50 minutes until lightly browned. ➤Bananas are packed with nutrients that are essential to heart health. They are the perfect food for the heart. They are rich in fiber, potassium, vitamin C, and vitamin B6, which are all major contributors to heart health. ➤Walnuts have been called a ‘superfood’ because they are rich in the omega-3 fatty acid, alpha-linolenic acid and fiber, and they contain one of the highest concentrations of antioxidants.